Motorola RAZR MAXX comes with 3300 mAh battery that provides stunning talk time of 17.6 hours and about 607 hours of standby time on 2G network. The mobile phone runs on Android v2.3 (Gingerbread) Operating System which can be upgraded to Android v4.0 (Ice Cream Sandwich) Operating System. It is incorporated with 1.2 GHz dual core processor that provides an amazing speed during navigation. 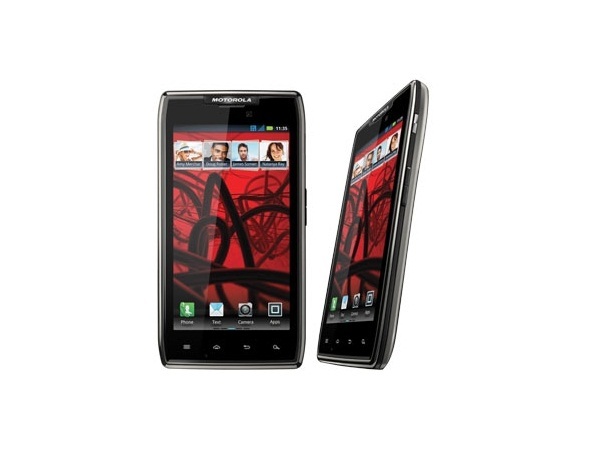 Motorola RAZR MAXX features 4.3 inch super AMOLED capacitive touch screen that gives qHD resolution of 960x540 pixels. The display screen is protected by Corning Gorilla Glass. The device encompasses 8 Megapixel Digital Camera that helps the user to capture beautiful moments of life. This camera is capable of recording HD videos. The phone has LED Flash for taking snaps even in low or dim light conditions. Geo-tagging, Face Detection, Autofocus and Image Stabilizations are the most stunning features of this device. The phone comes with 16 GB of internal storage space which can be expanded up to 32 GB.